In a previous post (go to part 1) I discussed the question of whether or not animals have souls according to Jewish theology, and then defined five different Hebrew words that are commonly translated "soul." In this essay, I will explore the question of why Western society became so callous towards animals, and attempt to show that this is not due to Judaism! 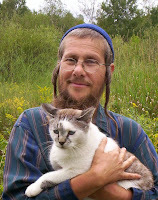 There is a disturbing tendency in the animal rights and ecology movements to blame everything negative on "monotheism" or "The Patriarchy" or "the Jews" without really understanding what Judaism actually teaches. Very often, the popular conception of what is "Jewish" is about as accurate as the Hollywood Wild West portrayal of what is "Indian." So we need to take a second look at some basic Jewish teachings before we can understand how modern society got off track. Consider the story of the Garden of Eden, a teaching story that is originally Jewish and comes from the Torah (which is the same text as the first five books of the Bible.) The story of Noah and the Ark also comes from the Torah. So right away, we can see that Judaism gave us two of the most basic images about caring for the environment -- images that are frequently cited by modern environmental movements, both religious and secular. These stories are also basic as to how Jews are supposed to relate to animals. Adam and Eve lived in harmony with animals in the Garden, and were told to care for the Garden. So their role was to be stewardship, not conquest. Adam also names the animals. Now, usually this is interpreted as naming the species, but there is another, deeper way to look at this. When you name an animal, you take responsibility for it, and you also develop a connection to it. There is an old adage among farmers to "never name something you are going to eat" -- and there are many stories of farm children who did name a cow or goat and were then unable to eat it. Naming an animal personalizes it and makes it into an individual. So clearly, Adam and Eve did not see animals as mere "things." 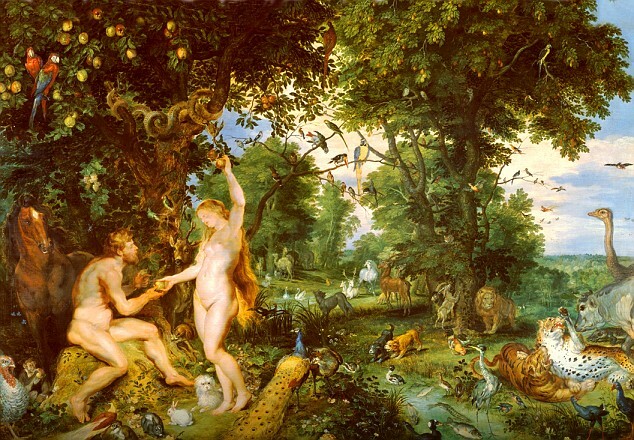 The Garden of Eden is also the Jewish metaphor for the afterlife. Considering the fact that Eden has animals in it, this implies that animals must have some form of afterlife also. Otherwise, how could the lion lie down with the lamb, as foretold by Isaiah? 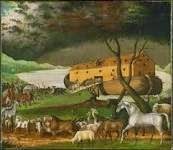 Noah was instructed to build the Ark to save all the animal species from an impending catastrophe. Whether you take the story literally or symbolically, the message is clear: God values every living species on earth, and expects us to take care of them. The Ark was, in a sense, a return to the harmony of Eden for the duration of the Flood. After the Flood, humans were permitted to eat meat, but only after humanely slaughtering them. 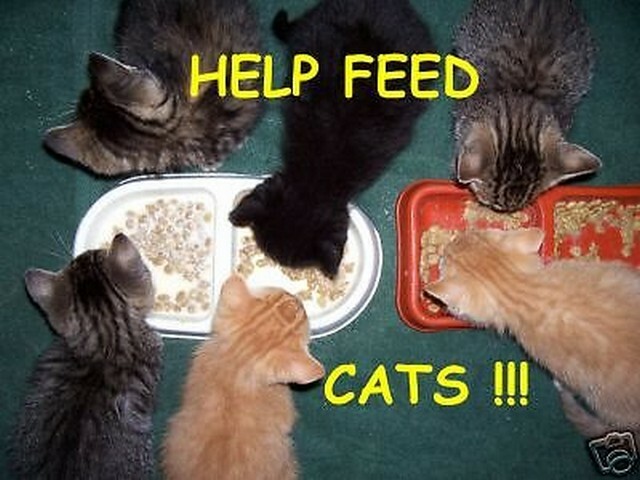 Judaism later went further, permitting only domesticated species as food. Eating exotic species was forbidden, as was hunting for sport. In later years, the rabbis would also forbid their followers from attending the "games" at the Roman arena. To this day, Jews do not, as a rule, attend or participate in blood sports. There were no factory farms in those days. Herds and flocks grazed freely in the open, as it was meant to be. Nor was meat eaten every day. It was something served on special occasions, such as the Sabbath, or when Abraham told Sarah to prepare food for the three visitors when he was camped under the trees at Mamre. Both of these stories, Eden and the Ark, treat animals as living, feeling beings. So do many lines in the Psalms and other parts of the Hebrew Scriptures, as I discussed in Part I of this series. That being the case, why has Western society -- which claims to be based on the Bible -- become so callous about the treatment of animals on factory farms in recent times? The answer, I believe, lies in the rise of secularism, and most particularly with a 17th-century French philosopher named Rene Descartes (pronounced day-CART.) Known as "the father of modern philosophy," Descartes is best known for his famous saying: "I think, therefore I am." But what is not as well-known is this: He believed that only humans have the ability to think and feel. To Descartes, animals not only did not have souls, they were incapable of feeling emotions or pain. Animals were mere things, unthinking automatons with no consciousness whatsoever. The cries of an animal in pain, to Descartes, were nothing more that the squeaking of a poorly-maintained machine. To prove his point, he once nailed his own dog to the door and ignored its cries of anguish. Descartes was not Jewish, and his ideas about animals are not in line with Jewish teachings. Nor are they in line with Christianity. The Roman Catholic Church condemned his books and forbade reading them. Nor did they have much influence on Jews -- at first. When Descartes was teaching, Jews in Europe were ghettoized and not accepted at the universities where he lectured. But ideas will spread across all barriers, so that, by the time you get to the late 1700s, Cartesianism was starting to filter into the Jewish community along with the secular "Enlightenment" movement. This explains why Rabbi Nachman of Breslov (d. 1810), the Breslover Hasidic Rebbe, told his followers not to study philosophy. I had always been puzzled over this, this, because Maimonides was a philosopher, Nachmanides was a philosopher, so were Ibn Ezra and Luzatto and a lot of other classical commentators -- and we study them, right? But after reading about Descartes, I realized that what Rebbe Nachman was talking about was secular philosophy. He must have realized that this type of thinking would lead us away from respecting God and the creation. As indeed it has. Cartesianism opened the way to factory farms and other abuses of animals we see today. Jews, in turn, are now mostly urban people, who are cut off from the land, farming, and the process by which their food is produced. 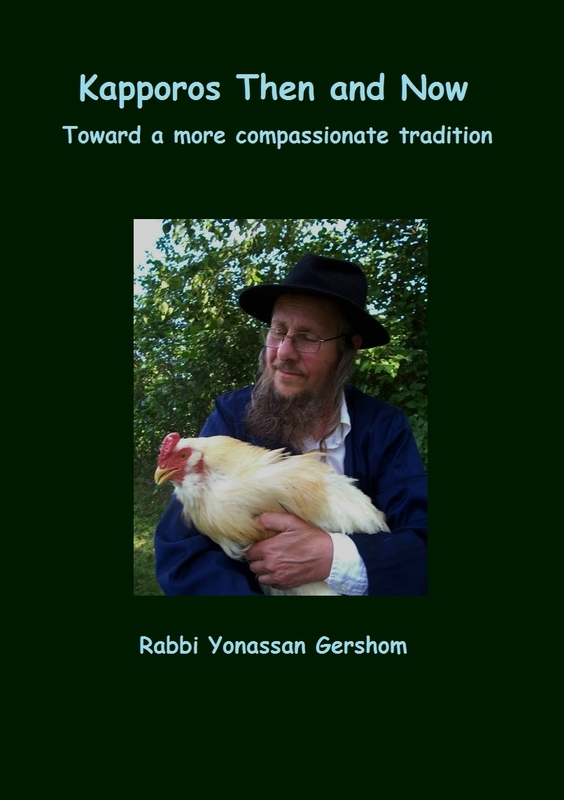 (For more this, and on re-connecting Judaism with nature, see my video, "Earth and Torah") Most Jews are unaware that the only difference between kosher meat and non-kosher meat is the method of slaughter. The animals themselves come from the same industrialized factory farm and feedlot system as non-kosher meat. The days of our ancestors raising their own chickens and personally taking them to the shochet (kosher slaughterer) are long gone. It is for this reason that I believe that vegetarianism is the highest form of kosher diet today. I do not fault my ancestors for eating meat. There were times in Jewish history, when we lived in harsh desert or northern climates, where vegetarianism would have been next to impossible. God knew this would happen, and so did not outrightly forbid eating meat. But nowadays it is easier to be a vegetarian, and with modern nutritional science, it is possible to do it with a balanced diet and and remain healthy. Many would now argue that vegetarianism is more healthy, given all the diseases we now know are associated with meat consumption. But the bottom line, for me, is this: Animals do have feelings, and should not be raised as if they were nothing but food-producing machines. That is not the Jewish way. This week was the first time I had heard of the Ground Zero "Survivor Tree," when President Obama laid a wreath there. A quick Google search revealed several past articles about this tree, which I apparently missed before. 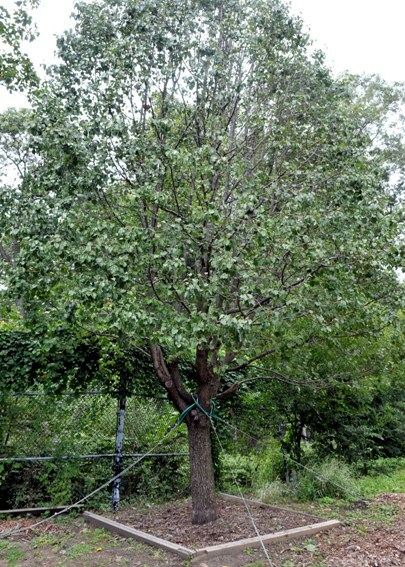 But now that the tree, (which is a callary pear originally planted at the World Trade Center in the 1970s) has received national publicity, everyone is aware of it. And I think it is a wonderful symbol. Unlike the "cross" that was really just an iron support beam that landed upright after the explosions (and which got so much publicity as a "miracle" right after 9/11), the pear tree is a truly universal symbol that can be embraced by people of every faith or lack thereof. Like a phoenix from the ashes (if I may mix my species metaphors here) this tree symbolizes life and hope. For me, as a Jew, there is a double meaning, because the Torah is also called a "Tree of Life" -- and it is the Torah which gave our country its basic moral compass through the Ten Commandments, which include "Thou shalt not murder." ﻿﻿ For other faiths and philosophies, too, the symbolism of a Tree of Life affirms positive values. Here's what the Survivor Tree looked like just a few months after 9/11 -- nothing much was left but the trunk and some stubs. "It looked like a wounded soldier," said horticulturalist Richie Cabo of the New York Parks Department. It was only 8 feet tall and barely alive when it was moved to their Arthur Ross Nursery in Van Cortlandt Park for rehabilitation. Pear trees have amazing regenerative abilities, and it was not long before the tree began to sprout new growth. Cabo, who was just starting his career at the Parks Department at the time, spent nine years lovingly nursing the tree back to health. The tree is now 35 feet tall and has been transplanted to the Ground Zero memorial site, where Obama laid the wreath on May 5, 2011, almost a decade after the tree was damaged. Some people have criticized "the press" for dubbing this a "survivor tree," claiming that the word "survivor" indicates defeat. I strongly disagree. First of all, it is not the first tree to be called a "survivor tree"; there is also one at the site of the Oklahoma City bombing. And secondly, a survivor is someone who overcomes tragedy against all odds -- and that is exactly what this tree did. When you look at that charred stump as it was right after the attack, it seems impossible that it could ever regenerate into a healthy tree. But it did. In the same way, we were deeply wounded at 9/11 but we were never defeated. "The survivor tree is a testament [to] our ability to endure, the symbol of our unshakable belief in a brighter future," said New York Mayor Michael Bloomberg, who kicked off the 9/11 Memorial planting ceremony in December 2010. Six other 9/11 survivor trees – three callary pears and three leaf lindens – are permanently planted near City Hall and at the Manhattan entrance to the Brooklyn Bridge.